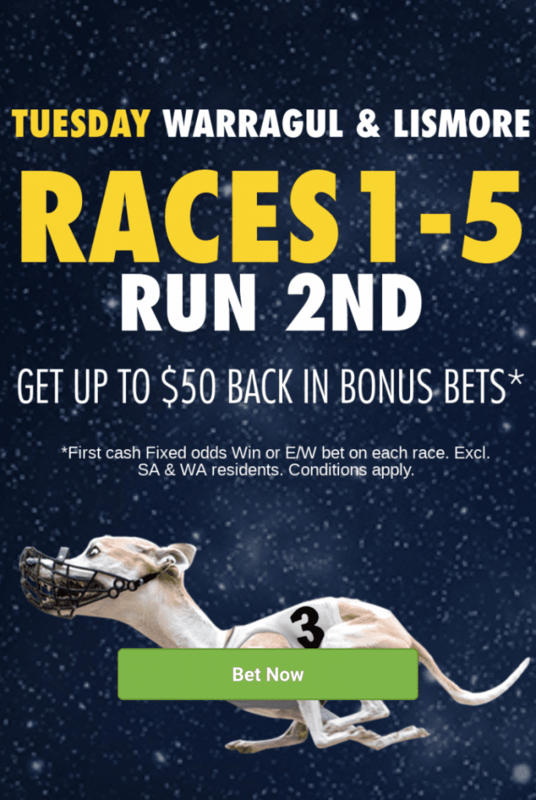 After delivering a bevy of bonuses at Shepparton & Grafton last night, Sportsbet is back tonight, delivering specials at Warragul and Lismore. When it comes to supporting punters who love the dish-lickers, Sportsbet is among the best bookmakers in the country for reasons like this. 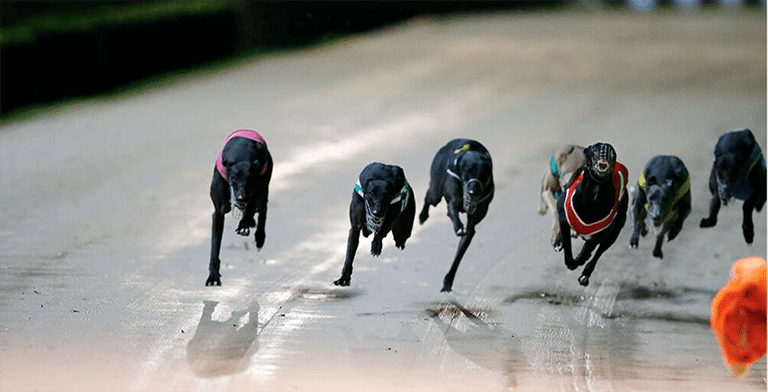 Thanks to the Aussie bookmaker, we’ve got large chunks of the Warragul and Lismore meetings in-play for bonus back specials, providing punters an opportunity to get a second bite at the cherry if they get a tough beat. 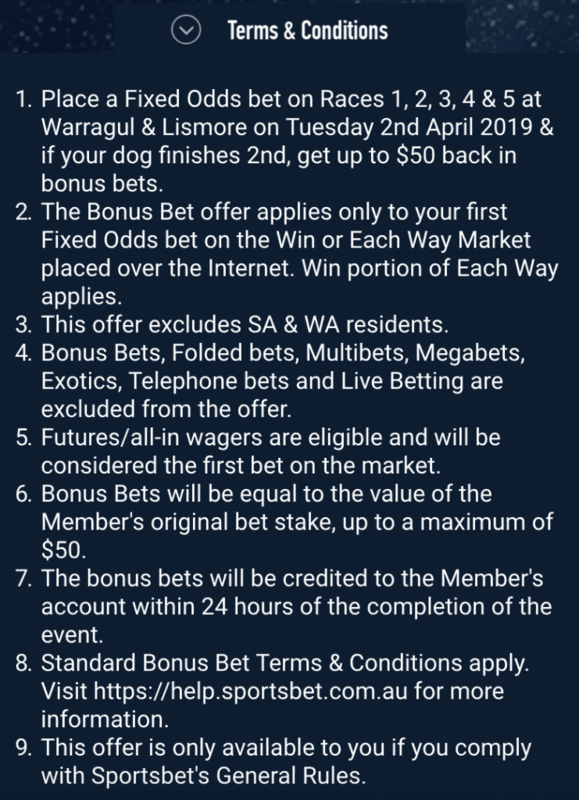 If you back a fixed-odds winner in any of the first five races at Warragul and Lismore and that dog ends up running second, you’ll get up to $50 back in bonus bets. The special excludes residents from South Australia and Western Australia due to state legislation. Read all of the terms and conditions below and gamble responsibly. The first race at Warragul kicks off at 6.48pm AEDT, while the first at Lismore will jump straight after at 6.51pm. Are you a member at Sportsbet? Read our bookmaker review and see if they’re the right bookie for you.